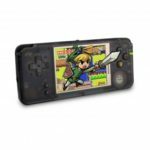 This retro handheld FC game console features palm size, you can easily control the button for better gaming experience. 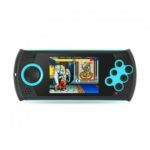 With 3 inch high definition color screen, built-in 129 classic games, it will take you back to your childhood. Supports AV output, enables you to play game on TV after connecting. 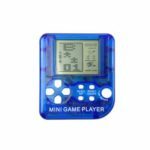 Built-in rechargeable lithium battery, supports 2-3 hours of continuous game play. Compact size and lightweight, it is perfect for playing travel or on the go. 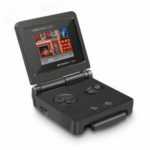 Built-in 129 classic games allow you to enjoy all your favorite classic games, bringing back childhood gaming experience. Provide vivid images, large enough for enjoying the classic games. Makes it possible to play games on your big TV screen. It fits in the palm of your hand so you can easily take it out and play with it at any time and any place. Supports 2-3 hours of continuous game play. And can be charged by USB cable.